It has been said that "the road to Hell is paved with good intentions," but often times they are selfish motives disguised as good intentions. 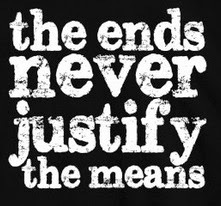 Furthermore, Mohandas Gandhi understood that there is no such thing as the "ends justifying the means" when he wrote: “They say, 'means are, after all, means'. I would say, 'means are, after all, everything'. As the means so the end.” Immoral means lead to immoral ends no matter what the "good intentions" might be under the guise of the supposed end objective. This was seen in action in Czechoslovakia when Soviet troops invaded in 1968 and Czechs disobeyed but at the same time tried not to harbor anger toward the soldiers as people. Gene Sharp calls it an example of a Civilian Based Defense. What does this have to do with the question of economic sanctions on Cuba? What is the intention behind those who advocate in favor of or against sanctions? People of good will with good intentions can be found on both sides of the debate. However, people of ill will can also be found on both sides of the debate as well. Economic sanctions are a tool found in the arsenal of nonviolent action. However, the aim of sanctions should be twofold: 1) to prevent cooperation with evil and to avoid generating debt against the citizenry. 2) The aim of sanctions should be to minimize the evils done by the oppressor not harming the already suffering population. A strategy of sanctions that seeks to harm the population into revolt is immoral as is playing the humanitarian card to lift sanctions and enter into business with the oppressor. An actual embargo would mean that there is a complete ban on or prohibition of trade by the United States with Cuba. This is not the case. What you have in Cuba is a partial embargo which is exactly the same in definition as economic sanctions. Between January 2000 and December 2012 according to the United States Census Bureau there has been $4,318,906.00 in U.S. trade in goods with Cuba. Meanwhile countries that do not have sanctions in place, which includes restrictions on granting credits such as Russia, Venezuela, China, Japan, Spain, Argentina, France, Romania, Brazil, Italy, and Mexico are owed billions of dollars. Russia is forgiving $29 billion dollars of debt that the Castro regime owed it and Mexico is waiving 487 million dollars of debt owed by the regime in Havana. Where do you think the United States would be on this list if sanctions were lifted and credits became available to the Castro regime? How much would U.S. taxpayers have to shell out? At the same time Cuban exiles, many committed to maintaining economic sanctions against the dictatorship, are also a main source of remittances to their families on the island totaling hundreds of millions of dollars per year. The intention of the embargo on Cuba is not to harm Cubans but to limit hard currency to the dictatorship. The aim of the embargo initially, during the Cold War, was to penalize the Castro regime for seizing U.S. properties and limit its ability to fund armed guerrillas and terrorist groups in the region aimed at toppling friendly governments. With the exception of the Sandinistas in Nicaragua in 1979 this policy was a success in the Americas. 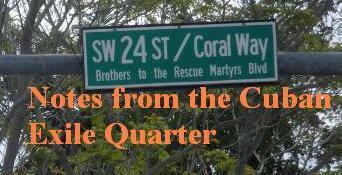 None of the 75 are serving their sentences in a Cuban prison today. However, today in Vietnam there are still at least 70 prisoners of conscience imprisoned despite normalized relations with the United States. So what have we witnessed in Cuba over the past four years with the Obama Administration's Cuba policy? The deaths, under suspicious circumstances, of national opposition figures such as Laura Inés Pollán Toledo and Oswaldo José Payá Sardiñas; The deaths of Orlando Zapata Tamayo and Wilman Villar Mendoza, human rights defenders on hunger strike in the custody of the Cuban authorities; and, an increase both in the number of detentions and the degree of violence used against nonviolent activists. Another is that of American Alan Gross, arrested on December 3, 2009 and sentenced to 15 years in a Cuban prison. He spent 25 days in a Havana jail before being visited by a U.S. diplomat. By that time Alan Gross had been approached by a Cuban “attorney” who just happened to be representing five Cuban spies imprisoned in the United States for espionage and conspiracy to commit murder. Alan Gross’s supposed crime: Attempting to provide Internet access to the local Jewish community in Cuba. The reality is that he is a pawn of the Castro regime to be used in pressuring concessions from the Obama Administration. On the other side of the ledger the Cuban dictatorship did not suffer any repercussions for arbitrarily detaining a U.S. citizen. Alan Gross remains incarcerated to this day and December 3, 2013 marked his fourth year in captivity as an American hostage of the Castro regime. Looking beyond Cuba to China, Vietnam, and Burma, we are presented with a cautionary tale on lifting sanctions unconditionally. In China and Vietnam the United States lifted sanctions, effectively de-linking human rights considerations from economic ones. The result has been a deterioration of human rights standards in both countries. The Bush Administration took North Korea off the list of state sponsors of terrorism and the result has been a more belligerent regime that has threatened to attack the U.S. mainland with Nuclear weapons. Furthermore, during the the Obama Administration it was discovered that the Castro regime was providing arms to North Korea in violation of international sanctions. This is not an argument for taking Cuba off the list of state sponsors of terrorism but returning North Korea to the list.